Massimo Bottura once believed he had reached the peak of his culinary success in 1980 when, at the age of 18, he would use a megaphone to call out to his friends on the beach near Salerno from the camp where they were staying and ask what they wanted for dinner: carbonara or amatriciana? Among friends, he was always the cook, but he never thought he would be a chef. The 53-year-old, whose restaurant Osteria Francescana in Modena was this week named the best in the world, has said his passion for the kitchen began with his love for pasta; the way his grandmother rolled out translucent yellow sheets of dough for her tortellini twice a day, and how she told him the kneading, rolling, and folding would strengthen his character. He was attracted to how “humble” and “generous” the dish could be. “Pasta is flexible. It bends, it transforms, and goes to all ends to keep us in its company,” he said last year. It would be easy to say that Bottura became the first Italian to win the top spot of the World’s 50 Best Restaurants this week because he is a famous master chef of a cuisine that is adored, and that Italy deserved the honour. But that would be too simple. When friends and colleagues describe Bottura and what makes him special, they rarely talk just about the food. Yes, he deconstructed a mortadella panino – the beloved staple his mother used to put in his school bag every day whose taste he said is “fixed in my soul” – using foam, pistachio, and a gnoccho on the side. The dish – named “Memory of a mortadella sandwich” – is a feature of his €180 tasting menu, which whisks the adventurous diner from a “Croccantino of foie gras” to a pudding entitled “Oops! I dropped the lemon tart” via “Five ages of Parmigiano Reggiano in different textures and temperatures” and “Beautiful, psychedelic spin-painted veal, not flame grilled”. For the deconstructed panino, Bottura made a simmering mortadella water that he created through a distillation process, which he used to make a “creamy” version of the Italian sausage that, with just the right amount of fat, could be put through a siphon. With some charges of gas, he created the foam. The result, he claims, is a taste that disappears on the palate immediately, but has a “long and persistent” flavour. It took him four years to get the dish right. But, despite their intricacy, his techniques seem secondary to his motivation. Bottura’s own journey began when, unhappy at law school, he decided to buy a failing trattoria in his home town. At 23, having cooked for his friends for years, he sought to transform the dingy restaurant – which had practically been sold to him along with an accordionist and his singing wife – with the help of a pasta maker called Lidia Cristoni, whom Bottura calls his second mother-mentor. He later learned of a French chef named Georges Cogny whose cooking he admired. Cogny had married an Italian and opened a restaurant called Locanda Cantoniera in the Apennine village of Farini. For the next two years, according to the New Yorker, he would make the two-hour drive into the mountains and spend every Sunday and Monday there, learning from the Frenchman. After some initial success, Bottura grew in confidence and eventually decided to sell his restaurant and head to New York for a six-month stint in search of inspiration. At Caffè di Nonna in Soho, he worked in the kitchen while an American named Lara Gilmore was behind the bar serving up cappuccinos. They married and today Gilmore, with whom he shares a love of art, is seen as an integral partner in Bottura’s success. “Lara took over my education. She opened the world of the avant garde to me,” Bottura told the New Yorker in 2013. After a rocky start in their early courtship – Gilmore had moved to Modena to be with Bottura, only for her Italian boyfriend to receive an unexpected offer to move to Monte Carlo with the French star chef Alain Ducasse, leading to a breakup and Gilmore’s return to NY – they eventually returned to Modena together. 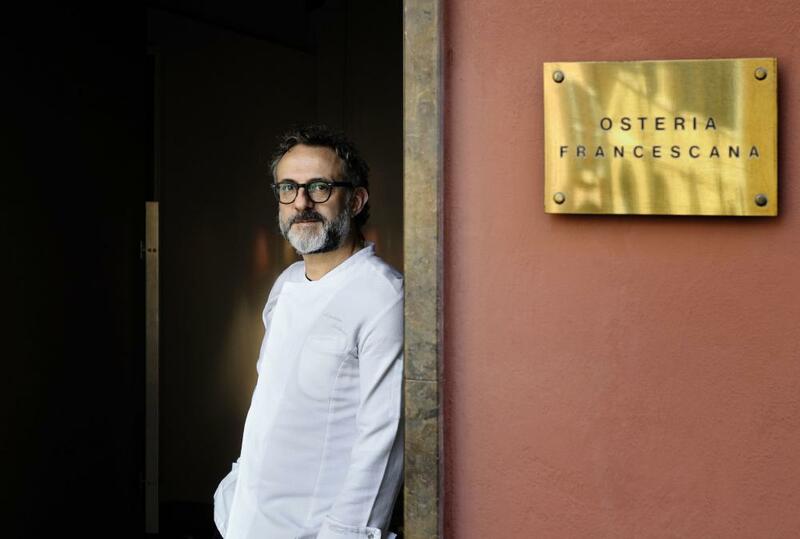 In 1994 Osteria Francescana was born. Today, one of the most famous dishes on his tasting menu pays homage to Emilia-Romagna and its most beloved export: the “Five ages of Parmigiano Reggiano” mentioned earlier. When it comes to cuisine and storytelling, Bottura’s best tale, according to the Italian food critic Roberto Perrone, involves a “vain eel” that is the subject of a short film, Il Ritorno, produced by the chef. 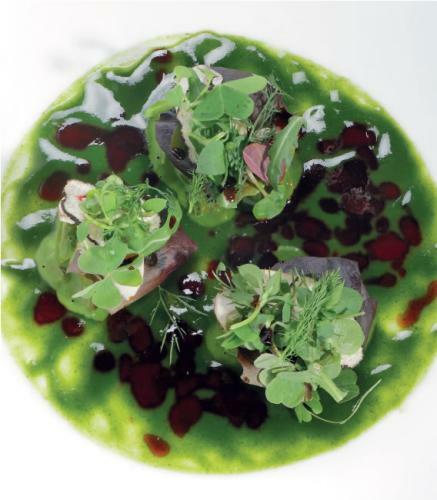 It pays tribute to the river Po and playfully describes one of Bottura’s signature dishes on his tasting menu, called “An eel swimming up the Po river”. In it, Perrone says, the eel meets some polenta, finds its way around some apples, and finally encounters some of Modena’s famed balsamic vinegar. The second, Perrone says, is that Bottura has a high profile and knows that being a great chef also requires some show business. He has challenged deeply held views about tradition and food in Italy, and has done it – in Cowin’s words – with “contagious excitability” and “very thoughtful enthusiasm”. 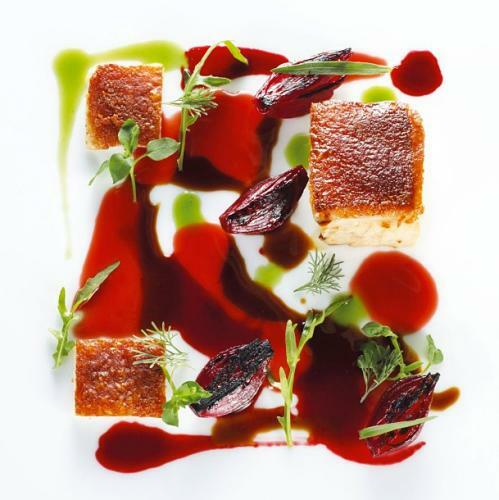 In an interview with the Guardian last year, Bottura painstakingly described how he had once asked himself why he insisted on boiling six different cuts of meat – beef, pork, and chicken – for a recipe. The answer, he determined, was 1,000 years of history, which was not a good enough reason. “That day, with that meat, I said: ‘No, I am not boiling the meat, because if I boil the meat I am losing everything and especially the work of these amazing farmers.’ To me it is so stupid to say that the recipe cannot be changed,” he said. Bottura is also a political campaigner within the culinary world who has spoken out about food production, sustainability, and poverty. Last year, during the Milan Expo, Bottura worked with a Catholic charity to convert an abandoned theatre in Milan into an experimental soup kitchen for the homeless using leftovers from the exhibition, raising awareness about the issue of food waste. He invited top chefs to cook there, with Daniel Humm of Eleven Madison Park making a sweet pudding from day-old bread, and René Redzepi of Noma using black bananas for banana bread. In an era when chefs are celebrities – and often poorly behaved ones – Bottura does not fit the mould of the obnoxious star who berates and humiliates his staff.